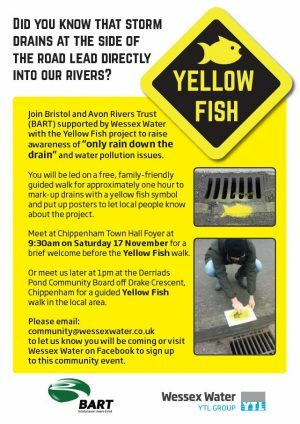 On Saturday the 17th of November in Chippenham we will be co-hosting a yellow fish pollution awareness event with Wessex water! Its free to get involved so if your in the area come down and join us for 9:30 at the town hall. Thanks to funding from the Bristol Avon Catchment Partnership, BART carried out electrofishing surveys on the Wellow Brook this summer. The study was undertaken to provide part of a set of data being collected to monitor improvements made by the boulder weir removal (read more about this here) and also a number of in stream habitat improvements made following funding from the Environment Agency. On 6th and 7th June 2017, BART worked with Five Rivers Environmental Contracting to conduct electrofishing surveys on the Wellow Brook between Stoney Littleton and Wellow. Electrofishing is a fish surveying technique combining a mixture of electrical current with a known water conductivity to temporarily stun fish in order to measure and document the population and community fish statistics at a freshwater location. 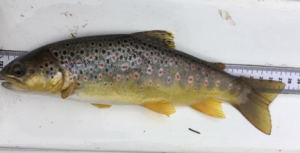 The following fish were found during the survey: Brown trout, European eel, Brook lamprey, Stone loach, Common bullhead, Minnow, 3 spined stickleback and 9 spined stickleback. During the surveys, most fish were found at pinch points where both fish cover and flows increased significantly compared to otherwise straightened and canalised sections. Recommendations were made to increase pinch points in these straightened sections of the river and introduce woody debris. The findings of the electrofishing study were used to inform the river restoration works carried out by BART on the Wellow brook in September and October 2017. Read about the river restoration work to improve fish habitat here! Bristol Avon Waterblitz – the results! The results are in and the Bristol Avon Waterblitz is now over! This is the first year that BART have run the Waterblitz, and it was a great success with 176 water quality samples taken and a total of 375 people involved! 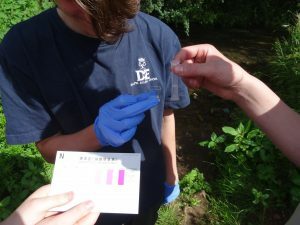 Thanks to funding from the Bristol Avon Catchment Partnership and the Greggs Foundation, we worked in partnership with FreshWater Watch to get as many people as possible to take a water quality sample from their local river or stream. The water quality testing kits measured the concentration of nitrates and phosphates, which are naturally occuring chemicals in rivers and are essential for life, but in high concentrations caused by sources of human pollution they can degrade water quality and harm aquatic life. We had a great response to the Waterblitz, with many volunteers keen to contribute and learn more about the quality of their local river. Samples were taken from all across the Bristol Avon catchment, and it was so interesting to find out how the concentration of nitrates and phosphates varies in different water bodies. The results collected will aid us in gaining a better understanding of the state of the river environment, and provide an evidence base for future work. 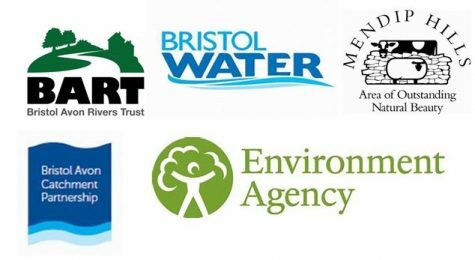 A big thank you to all of our volunteers, the results you have collected are invaluable in helping us determine the health and quality of the freshwater bodies within the Bristol Avon catchment. 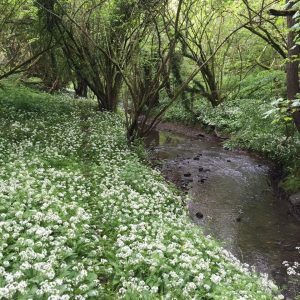 Our Aquatic Ecologist, Jess, and Project Officer Harriet have been out on both the Corston and Newton Brook near Bath doing a variety of walkover surveys. This will help us to gain more understanding of the issues facing these rivers, and identify opportunity areas for improvements. The surveys included habitat walkovers, water quality monitoring and macrophyte and invertebrate surveys.